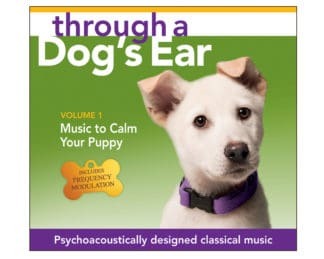 Calm Your Puppy is the only therapeutic sound program designed for baby and young dogs. 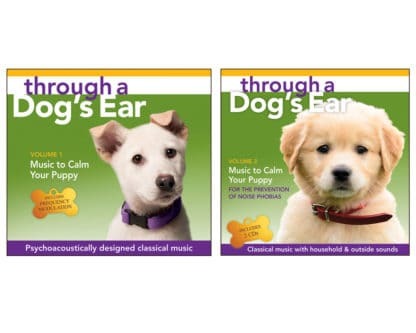 Using the 3-CD series (CYP2 is a 2-CD set) helps keep your puppy calm and prevent noise phobias as your puppy matures. Your new best furry friend’s hearing and relationship to the sensory environment is extremely fragile — especially during weeks 7 – 12. A puppy’s greatest malleability is during this human socialization stage. It is very important to safeguard his sensory environment during this time. Calm Your Puppy Vol. 1 is bioacoustically designed to calm a frisky fellow! Continued usage also creates an auditory trigger to help transitions from playtime to training or sleep. The 2-CD Calm Your Puppy Vol. 2 is designed to be a sonic inoculation. By repeatedly playing this series, you will gently introduce her to common inside/outside noises. Set against the backdrop of clinically tested calming piano music, these soundtracks will help acclimate your young dog. The goal of the Calm Your Puppy series is to build a conditioned response of positive association. Your puppy will come to recognize and remember these sounds as part of a peaceful home environment. When actually confronted with similar indoor and outdoor sounds without the music, there will be recollection, without fear. 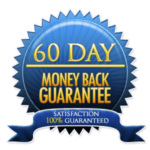 For optimal frequency modulation effect, play Calm Your Puppy series on full spectrum speakers (not computer or small portables) at a gentle volume. Performed by award-winning concert pianist, Lisa Spector. I used Lisa’s wonderful CDs for my last litter of golden retriever puppies and really LOVED the results I got. Every night when putting the pups down for the evening I turned on one of the CDs and my pups settled in and went right to sleep.